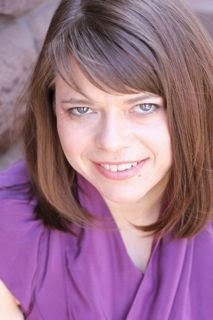 Welcome to Fiction Dreams, Elisa! Can you tell us a little about your YA books? My current books, PRETTY CROOKED and PRETTY SLY (there's a third out due next March), are about Willa Fox, a teenage girl who decides to play Robin Hood to even the social playing field in her high school. Meanwhile, a mystery brews with her mother and she goes missing, so in the second book, Willa takes off on a road trip to find her. I have another book coming out in June called COIN HEIST. It's similar to the PRETTY CROOKED series in that it's light and fast-paced and has the caper element, but it's told through four different points of view, including two male characters. It's the story of a bunch of prep school kids who band together to save their school after the headmaster gambles away its endowment, and their plan is to rob the Philadelphia Mint. What inspired you to write it? And do you write YA? I was inspired to write YA by a workshop teacher who told me she thought my "teenage" voice was believable. Since then, I have explored many kinds of stories and genres. The PRETTY CROOKED series was inspired by the real life story of Colton Harris-Moore aka The Barefoot Bandit, a teenage outlaw. COIN HEIST was inspired by an initial idea for a mashup that combined two favorite movies, Breakfast Club and Ocean's Eleven. I'd love to see an actress with a bit of an edge take on the role of Willa Fox. One of my top choices would be Kiernan Shipka. On Mad Men she does such a great job of playing a teen caught up in her parents' drama. I think she'd capture Willa's bubbliness and naivete but also bring intelligence and resourcefulness to the part. As for Aidan, Willa's bad boy love interest, I think someone like Nick Robinson would be great. He's a smooth character with the kind of charming smile that could convince a girl to bring him on a road trip. At the same time, I think he could handle the mysterious aspects of Aidan—all the secrets lurking under the surface. I've always wanted to be an author—for as long as I can remember. I think back in the day I had a romanticized vision that isn't exactly like the reality (it involved limousines and awards), but it has turned out to give my life quite a bit of meaning. Best of all is meeting my teen readers. That really makes my day! FEED by M.T. Anderson. It's the scariest and smartest dystopian I've read. My husband, who is constantly sharing interesting films, art and music. Chestnut Hill Coffee, which is a cafe near my house. Recently, I would say I really liked the adaptation of It's Kind of a Funny Story by Ned Vizzini. I was surprised at how well the movie captured the spirit of the book. Sheesh. I can't pick one. But for the sake of argument and for the sake of a YA discussion, let's say the above mentioned M.T. Anderson. His books are incredibly varied and amazingly well crafted. I'd choose Dorothy Parker, because that lady knew how to have a good time. I went to middle and high school with Bradley Cooper. Oh boy. A few people have told me I look like Emma Stone, which is truly the highest compliment I have ever received (but also a bit strange as I just don't see it). So yeah, let's pretend that's true and say her. Though she'd need a dye job as I am, and have always been, aside from a few college-age Manic Panic episodes, a brunette. I live a few blocks away from where Grace Kelly grew up. It's a really quiet neighborhood in Philadelphia, with a great mix of architecture. My debut young adult novel PRETTY CROOKED (Katherine Tegen/HarperCollins) was released in March 2012, and the sequel, PRETTY SLY, came out in March 2014. 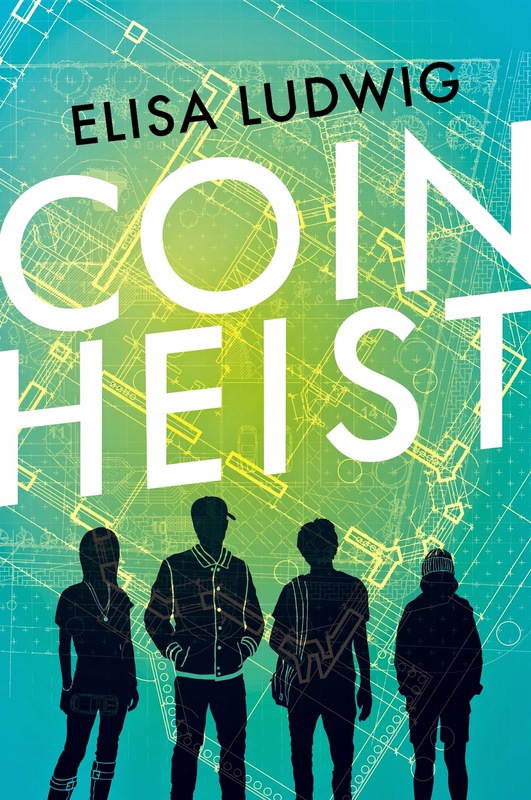 COIN HEIST, a YA thriller, is out in June 2014 (Adaptive Studios). I live in Philadelphia with my husband and son.